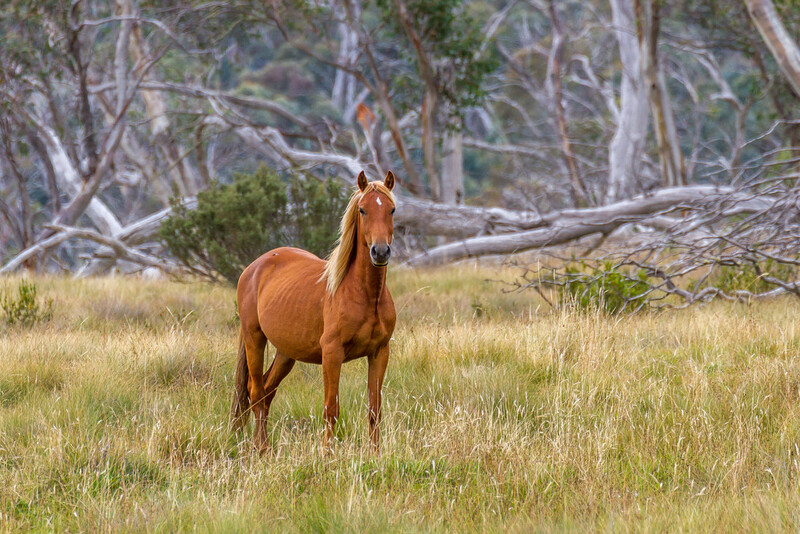 On our big outing the other day we saw our first brumbies, and then they were everywhere! I guess its time and place, like most things. It was lovely to see them in this beautiful country. This one saw us and came down from the hill to protect the others - kept a good eye on us! A beautiful capture and lovely scene. How exciting and what a lovely image. Love it! It looks very healthy. I like the matching of the three colour areas. The picture is better because you kept a large chunk of the environment around the horse than if you had zoomed on it. Such a gorgeous capture! Wow. Great shot of this beauty! A gorgeous portrait of this horse.